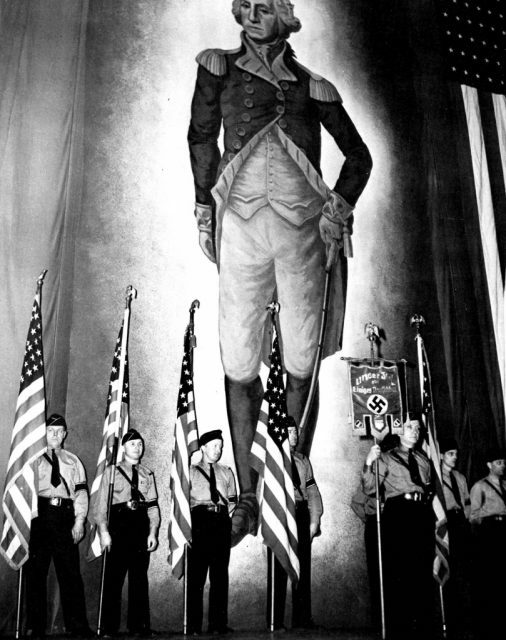 Mass rally of 20,000 American Nazis at Madison Square Garden in 1939. 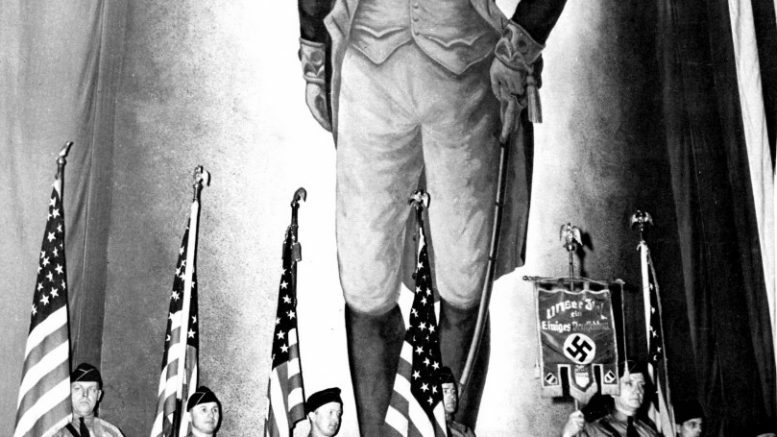 Orgnizer Fritz Kuhn declared that if George Washington had still been alive, he would be a Nazi. This aspect of history is rarely found in textbooks. 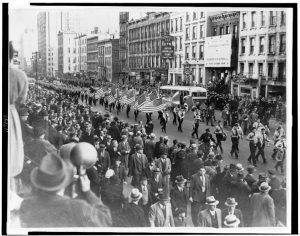 German America Bund on parade in New York City, 1939. New York World-Telegram and the Sun Newspaper Photograph Collection (Library of Congress). Anti-Semites of the 21st century prepare for racial warfare and rant about Jews “committing genocide to my people.” They are following directly in the footsteps of America’s 20th-century leaders of organized anti-Semitism. A post-rally investigation revealed that Kuhn’s interests lay beyond emulating Hitler. He had been skimming money from the Bund’s accounts for personal use. Kuhn was subsequently prosecuted, convictedand eventually deported to West Germany after the war. 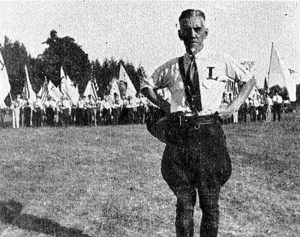 William Dudley Pelley and members of the Silver Legion of America. Public domain.